The department of Botany is one of the oldest departments of Govt. V.Y.T.PG. Autonomous College and has been in the forefront providing quality education and training in the field for the past five decades. UG course started from its inception in 1958 with Botany, Zoology and Chemistry and Botany, Chemistry, Microbiology in 2001 combinations. Postgraduate course started in the year 1972. 42 research papers have been published in various national and international journals its reputation for outstanding academic achievement is well known and reflects the intellectual achievement of its students. University rank holders and who are perusing education and research in top notch institutes of India the department has also been actively organizing guest lecturers national seminar, nature walks, field trips, botanical excursion, etc. in order to achieve all-round development of students through association activities. 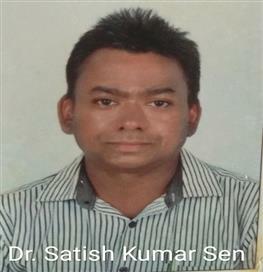 The uniqueness of the department essentially lies in the fact that within its faculty there are experts and active researchers representing the frontier areas of modern botany the contribution of the eminent professors in the field of research includes Dr.S.K. 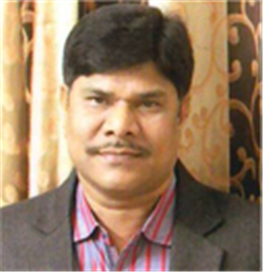 Sharma in Plant taxonomy, Dr. Choudhary in plant pathology, Dr. Karkoon inplant pathology, microbiology, Dr. P.C. Panda in plant physiology and Dr. J.N.Verma in plant pathology. The research laboratory set under the department is well equipped with instruments like phase contrast microscope, BOD incubator, UV-VIS spectrophoto meter, cooling centrifuge, Soxhlet apparatus etc. The thrust area such as Isolation and characterization of phyco chemicals Effect of organochlorine pesticides on actinomycetes recovered from parboiled rice milleffluent. Antimicrobial activity and phycochemical analysis of algae. Effect of organochlorine pesticides on actinomycetes. Impact of urea in plant growth promoting Rhizobacteria with reference to rice crop. Antimicrobial activity of medicinal plant. Addressing to the vision and mission of the College the department has been striving to achieve its objectives while providing a holistic learning environment to its students. 1. Equipped students with advanced knowledge and skill and identify the research area in rural scenario and bringing modernization in teaching with top universities. 2. To cultivate a research culture in young mind. 3. To impart the knowledge about medicinal plants. 5. 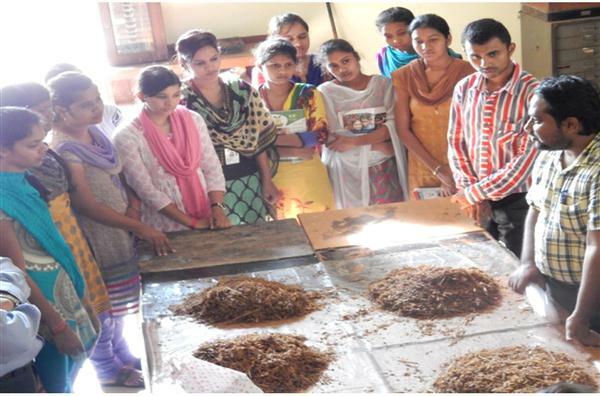 To serve the knowledge about medicinal plants to population and livelihood of the tribal population of the area. 8. Make the department students friendly. 11. To develop a reputed department in the area. 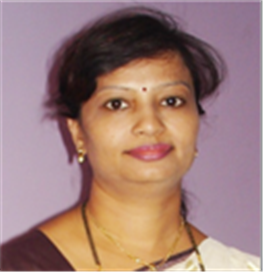 Professor and Head, Departmennt of botany, M.Sc. PhD. 2. Effect of organochlorine pesticides onactinomycetes recovered from parboiled rice mill effluent. 3. Antimicrobial activity and phycochemical analysis of algae. 4. Effect of organochlorine pesticides on actinomycetes. 5. Impact of urea in plant growth promoting Rhizobacteria with reference to rice crop. 6. Antimicrobial activity of medicinal plant. 3. 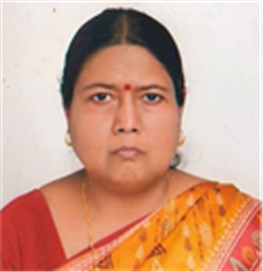 Meenakshi Bhardwaj (Vaishali nagar College) and Satish Sen (Bemetara College) qualified CGPSC Assistant Professor exam in 2014. Phase contrast microscope –a contrast-enhancing optical technique that can be utilized to produce high-contrast images of transparent specimens, such as living cells (usually in culture), microorganisms, thin tissue slices, lithographic patterns, fibers, latex dispersions, glass fragments, and subcellular particles (including nuclei and other organelles). Deep freezer –Storage of DNA and microorganisms. BOD incubator - specially designed for a variety of incubation and testing applications. UV-VIS spectrophotometer - the quantitative determination of different analytes, such as transition metal ions, highly conjugated organic compounds, and biological macromolecules. Cooling Centrifuge - This equipment is extensively used in chemistry, biology, and biochemistry for isolating and separating suspensions. Distillation Unit - separating the component substances from a liquid mixture by selective evaporation and condensation. TDS meter - A TDS Meter indicates the Total Dissolved Solids (TDS) of a solution, i.e. the concentration of dissolved solids in it. Air Sampler - Microbiological monitoring of the air in facilities where pharmaceuticals and medical devices. Oven and Incubator - General drying, sterilization and incubation of microorganisms. 1. Study of antimicrobial activity of Lantana indica Linn. Against some human pathogens and phytochemicals. European Journal of Pharmaceutical and Medical Research, 3(2), 301-308. (2016). Gupta, S., Toppo, K.I. and Kumar, A. 2. Biodiversity of grass flora found in Govt. V.Y.T.PG. Autonomous College Campus Durg, district. Vaniki Sandesh, 6, 23-26. (2015). Pandey, G.
3. Study of antimicrobial effect of Chrysanthemum moritolium Ramat. (Asteraceae) against some human pathogenic microorganisms. Int. J. Pharmacol. Bio.Sci. 9(2), 179-188. (2015). Gupta, S. and Toppo, K.I. 4. Diversity of Actinomycetes in parboiled rice mill effluent. IOSR Journal of Environmental Science, Toxicology and Food Technology, 9, (2015). Philip. C., Shrivastava, A.K. and Shrivastava, R.
5. Comparative study of application of chemical and biofertilizer for better growth of Vitex, a medicinal plant. Indian Journal of Life Sciences, 5, 41-43. (2015). Dewangan, N., Shrivastava R. and Shrivastava, A.K. 6. Combined application of Azotobacter and urea to improve growth of rice (Oryza sativum). Journal of Environmental Science, Toxicology and Food Technology, 72-77. (2015). Shrivastava, R., Shrivastava, A. K. and Dewangan, N.
7. Co-inoculation of Azotobacter and Pseudomonas to improve growth of rice (Oryza sativum). Society for promotion of tropical biodiversity, Jabalpur, 23 (1) 98-101. (2015). Shrivastava, R. Dewangan, N. and Shrivastava, A. K.
8. Production, optimization and characterization of broad spectrum acteriocins from Lactobacillus plantarum DP2 and Lactobacillus casai DD1. Research Journal Pharmaceutical Biological and Chemical Sciences. (Accepted 22 jan 2015). (2015). Mahobiya, D. and Shrivastava, R.
9. Antibacterial and Antifungal Activity of Mougeotia. International Jr. of Basic and Applied Science Research, 1(1) 54-57. (2014). Bhardwaj, M. Shrivastava, A. K. and Shrivastava, R.
10. Effect of Organochlorine Pesticide on growth of Actinomyceties. Indian Journal of Scientific Research, 4 (1), 191-195. (2014). Philip. C., Shrivastava, A.K. and Shrivastava, R.
11. Algal Biodiversity in Fresh water Reservoir of Durg. Indian Journal of Scientific Research, 4 (1), 121-126. (2014). Shrivastava, A. K., Bhardwaj, M. and Shrivastava, R.
12. Acute Human Lethal Toxicity Effects of Some Pesticide Families. Jr. of Industrial Pollution Control, 30(2), 181-184. (2014). Meshram, N., Singh, A. and Shrivastava, R.
13. Isolation and Characterization of PGPR Rice rhizosphere for phosphate solubilization. Jr. of Industrial Pollution Control, 30(2), 273-276. (2014). Dewangan, N., Shrivastava, R., Shrivastava, A. K. and Sahu, V.
14. Phycochemical and antimicrobial study of vigorous fresh water alga Mougeotia. Int. J. Curr. Microbiol. App. Sci., 3 (4), 1020-1024. (2014). Bhardwaj, M., Shrivastava, A. K. and Shrivastava, R.
15. Phycochemical Analysis of Two Members of Order – Zygnematales. International journal of Geology, Agriculture and Environmental Sciences, 2 (2), 27-30. (2014). Bhardwaj, M., Shivastava, A. K. and Shrivastava, R.
17. Antimicrobial activity of Achyranthes aspera against Some Human Pathogenic Bacteria and Fungus. Int. jour of pharmacology and biological sciences, 7(2), 43-54. (2013). Gupta, S. and Toppo, K.I. 18. Antimicrobial activity of Parthenium hysterophorus Linn. And Moringa oleifera Lam. against some human pathogenic bacteria and fungus. Journal of Herbal Medicine and Toxicology, 7(1), 89-95. (2013). Gupta, S. and Toppo, K.I. 19. Antimicrobial Activity of Sphagneticola trilobata (L.) Pruski, against some human pathogenic bacteria and fungi. The Bioscan, 8(2), 695-700. (2013). Gupta, S. and Toppo, K.I. 20. Ethanobotanical Plant Diversity in Mainpur Block, District Gariaband, Chhattisgarh, India. International Journal of Innovative Research and Studies, 2 (6), 11-12. (2013). Thakur, B., Verma, S., Karkoon, D. and Shrivastava, R.
21. Studies of Airomycoflora of District and Session Court of Durg, Chhattisgarh. Journal of Biological Innovation, 2 (4), 146-151. (2013). Verma, S., Thakur, B., Karkoon, D. and Shrivastava, R.
23. To analyse the water sample of pond located near Nandini mines in Durg district Chhattisgarh, India. Journal of Pharmaceutical and Biomedical Sciences, 22 (19), 1-4. (2012). Verma, S. and Das, S.
24. Seasonal Variation of Algal Biodiversity from the Three Fresh Water Ponds of Bhilai, India. Current issues of conservation and wise use of wetlands in North Eastern Region of India, 89-95. (2012). Bhardwaj, M., Shrivastava, R. and Shrivastava, A.K. 25. Ethanomedicinal plants and its effect on public health. Journal of Pharmaceutical and Biomedical Sciences, 21 (22), 1-4. (2012). Verma, S., Thakur, B., Shrivastava, R and Karkoon, D.
26. Isolation and Characterization of plant growth promoting Rhizobacteria associated with Vitex negundo. Life Science Bulletin, 9 (1), 197-199. (2012). Shrivastava, A. K., Dewangan, N., Shrivastava, R. and Chandrakar, D.
27. Ethnomedicinal; importance of some trees of Barnawapara Sanctuary of Chhattisgarh, India. Life science Bulletin, 9(1), 197-199. (2011). Toppo., K.I., Chelikswamy, L.K. and Gupta, S.
28. Biodiversity and Biochemical Properties of Genus Micromonospora Recovered From Gelatin Factory. Proceedings of National Conference on “Climatic change & its Effect on Biodiversity”. (2011). Philip. C., Shrivastava, R., Pandey, B. and Shrivastava, A. K.
29. Physiochemical Characterization in two Ponds of Dongargarh City under biotic stress. Proceedings of National Conference on “Climatic change & its Effect on Biodiversity” (2011). Chelak, E.P., Shrivastava, R. and Shrivastava, A. K.
30. Aeromycofloral Diversity of St. Thomas College, Bhilai. Proceedings of National Conference on “Climatic change & its Effect on Biodiversity” (2011). Bhardwaj, M., Shrivastava, R. and Shrivastava, A. K.
31. Ecological Status of Medicinal Plants of Durg Nagar Nigam Area; Chhattisgarh. Advances in Plant Sciences, 24 (II), 621-632. (2011). Sahu, Y., Meshram, N., Thakur, G.S. and Shrivastava, R.
32. Detection of seed Borne Fungi in Soybean by Different Incubation Methods. International Research Journal Lab to Land, 3(12), 519-521. (2011). Shrivastava, R., Singh, A. and Meshram, N.
33. Water Quality Assessment of Ground water resources in Dongargarh City (Chhattisgarh) Based on WQI. International Research Journal Lab to Land, 3 (9), 56-58. (2011). Chelak, E.P., Shrivastava, R., Shrivastava, A. K. and Pandey, B. 34. Floristic diversity of Dongargarh hill range, Chhattisgarh. International Research Journal Lab to Land, 3 (9), 522-526. (2011). Chelak, E.P., Shrivastava, R. and Shrivastava, A. K.
35. Screening of Leafy Vegetables of District Durg; Chhattisgarh. Advances In Plant Sciences India. An In. Jn. 23 (2), 743-744. (2010). Thakur G.S. and Chelikswamy L. K.
36. Studies on Phytoplankton diversity of Polsaypara & Deepak Nagar ponds of Durg city; Distt. Durg (C.G.). Research Analysis and Evaluations an Int. Res. Jn. Rajasthan.1 121-126. (2010). Thakur G.S. 37. Characterization of Ground Water for Human Activity Zones of Dongargarh City (Chhattisgarh). 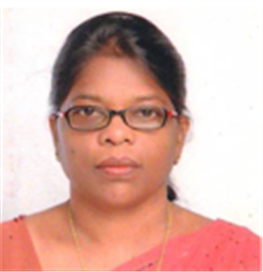 International Research Journal Lab to Land 2 (7): 354-357. (2010). Chelak, E.P., Shrivastava, R., Shrivastava, A. K. and Verma. A. C.
38. Screening of Fungus for the Biodegradation of Different Hydrocarbons. Life Science Bulletin 7 (1), 47-48. (2010). Meshram, N., Jimnani, K. and Shrivastava, R.
39. Screening of Bacteria for the Biodegradation of Different Hydrocarbons. Life Science Bulletin 6 (3), 315-318. (2009). Meshram, N., Jimnani, K. and Shrivastava, R.
40. Hydrocarbon Utilization by Bacteria as a Sole Source of Carbon. International Research Journal Research Analysis and Evaluation I (1): 5-11. (2009). Jimnani, K., Meshram, N. and Shrivastava, R.
41. Mycoflora associated with soybean seeds. Life Science Bulletin 6 (2), 163-165. (2009). Shrivastava, R., Mahobiya, D. and Meshram, N.
42. Preliminary study of avenue trees of steel city (Bhilai). Research Link – 32, Vol. –V (7), 28. (2006). Shrivastava, R.
43. Assessment of potentiality of Nelumbo cultivation under central plains of Chhattisgarh. Research Link – 32, V (7), 30. (2006). 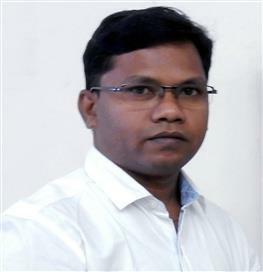 Shrivastava, R..
44. Effect of seasons & time of sowing crops on foliar incidence of blast disease in rice. National Journal of Life Sciences, 3 (3), 481- 483. (2006). Shrivastava, R.
Effect of spacing on foliar incidence of blast disease. Research Link – 27, V (2), 133. (2006). Shrivastava, R.
A National Seminar on “Recent trends in plant and microbial sciences” was organized by the Department of Botany & Microbiology jointly on 26th and 27th November 2011. Dr. Jaylaxmi Thakur, Vice Chancellor of Bastar University was the chief guest and Dr. Deepak Karkun, Principal; Govt. Girls College Durg was president of the seminar. A key note address was delivered by Dr. R. P. Sinha, from BHU his topic was “Interaction of ultraviolet rays with cyanobacteria”. A second lecture addressed by Dr. S.K. Chile Principal, Govt. P.G. College Seoni M.P. the topic was “Phytopthora sp. Which causes leaf spot disease on piperbetel”. Third important address was given by Dr. S.B. Nandeshwar, Dept.of Botany, Cotton Research Institute Nagpur, the topic was “BT cotton and application of biotechnology in different vegetables and food crops”. Dr. D.K. Shrivastava was consigned his address on “Biodiversity of cyanobacteria specially in Chhattisgarh region”. About 30 research papers were presented by respective research scholors. Total 150 Professors and research scholors were participated in the seminar. 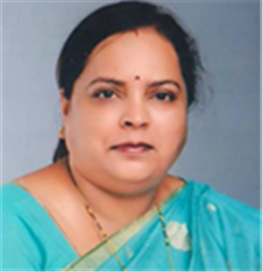 Dr. Ranjana Shrivastava was Co-ordinator and Prof. L.K. Chelikswami was organizing secretory of the seminar. 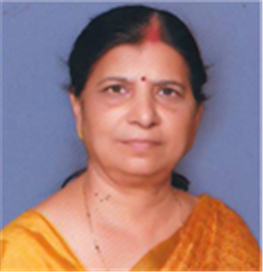 The Chief Guest of valedictory function was Dr. Vibhuti Rai Retired Professor SOS in Life Science, Pt. Ravishankar Shukla University Raipur and Dr. P.C. Choubey, Principal, Govt. V.Y.T.PG. Autonomous College Durg was presided over the valedictory function. A souvenior was also published on the ocassion. The Department of Botany has a well stacked library with nearly 2400 text books, reference books, M.Sc. project reports, herbarium and journals. The library supports resarch interest of the faculty, researchers, staff andstudents of the department. The library holds valuable books related to algae,fungi, bryophytes, pteridophytes, gymnosperms, plant systematic, plantphysiology, plant anatomy, genetics, cytology, cytogenetics, biochemistry,microbiology, biotechnology, ethnobot any biodiversity, ecobiology, beautifultrees monographs, medicinal plants flora, research methodology, Analysis ofwater in addition to rare books and journals. The prime objective of the library is to support students, research and teaching. There are also twocomputers for students and researchers with wi-fi/ internet facility. Libraryopening hours (in working days) 11 am to 5 pm. There are also two computers for students and researchers with wifi/ internet facility. Library opening hours (in working days) 11am to 5pm. Practical skill in students of Sun Shine English Medium Higher Secondary School. 1. To study the medicinal plants and to study the plant biodiversity of Botanical Garden Kolkata.